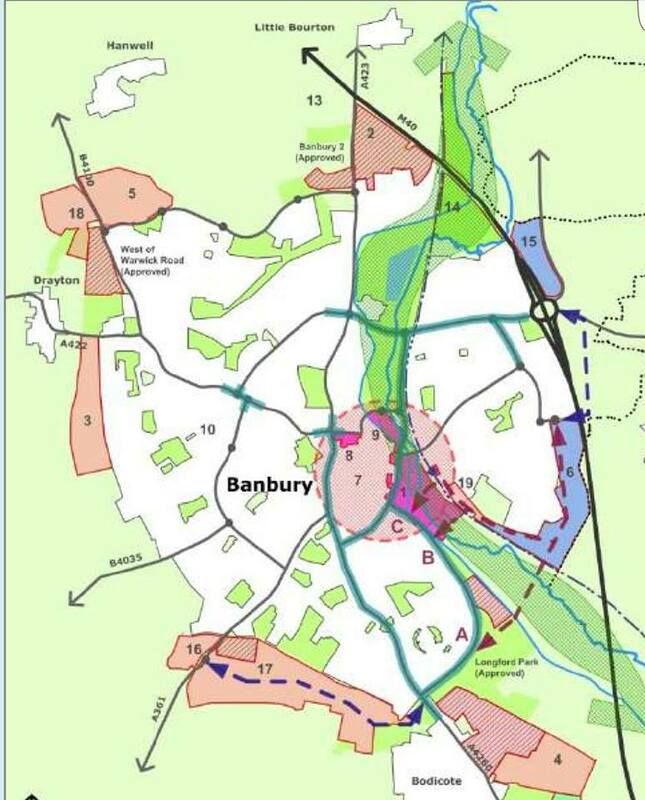 Those who take an interest in such matters will be aware that Oxfordshire County Council have submitted a proposal to the Secretary of State for Communities, seeking the abolition of all district councils in Oxfordshire, along with the county council, and their replacement with a single, unitary council which would be responsible for delivering all local government services. Currently, the county deliver most of the more expensive services such as social services including adult care, highways and education, whilst the districts deliver more local services such as planning, housing, waste collection, street cleaning and recreation. The county council claim that this could enable savings of up to £20m per annum to be made, mostly through efficiencies from the reduction in administrative and democratic functions. There is no doubt that the county council are in considerable financial difficulties, with increasing demand for adult care, and decreasing grant coming from government. On the other hand, Cherwell District Council have just announced for the 8th year running that they are not increasing their share of the council tax, having cut their costs significantly through efficiencies such as shared working with South Northants, and have not had to cut any of their services. 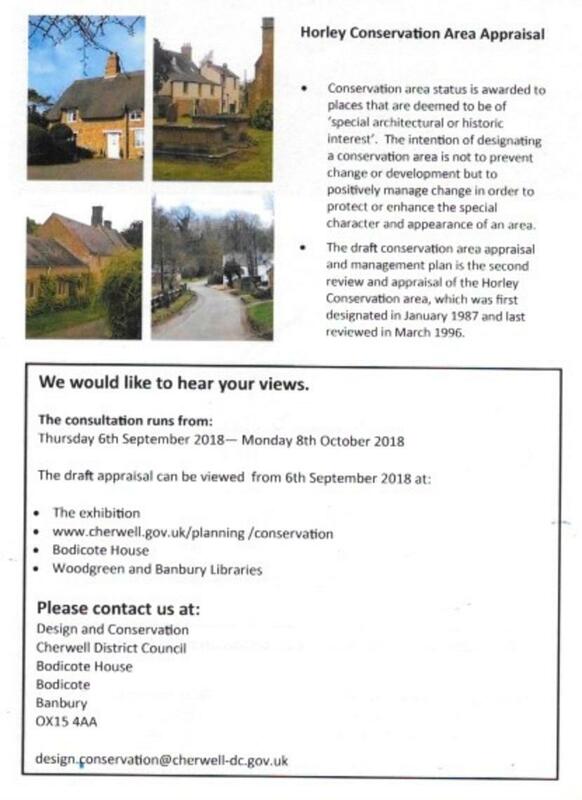 Cherwell are seeking support in their bid to persuade the Secretary of State not to agree to Oxfordshire’s proposal, and have launched a petition, which they have asked the parish council to share with you. Further details are available via this link. 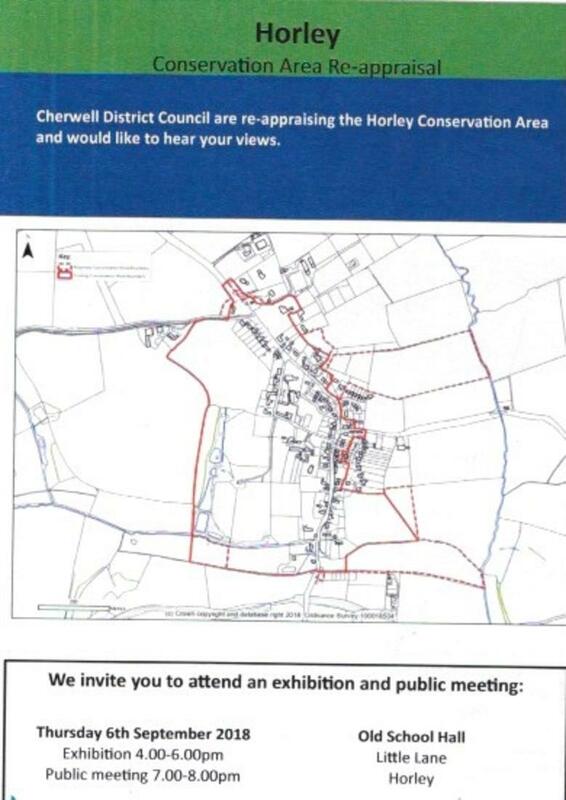 This entry was posted in Posts by Parish Council and tagged Cherwell District Council, local government, Oxfordshire County Council, petition on March 26, 2017 by thehorleyviews. Recycle your small electrical items by popping them in a carry bag on top of any bin & our crews will recycle them! 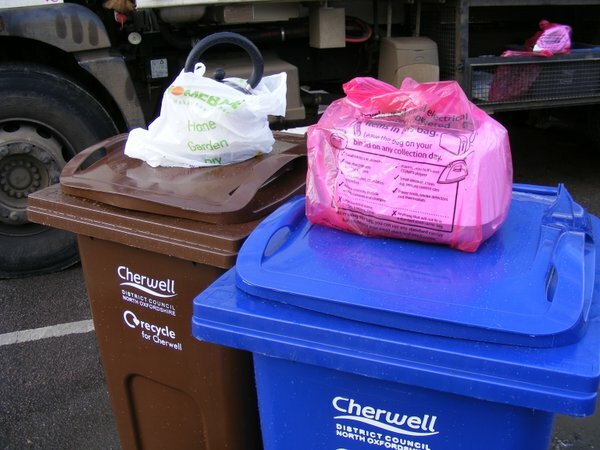 This entry was posted in Posts by Parish Council and tagged Cherwell District Council, Electrical, Recycling on April 6, 2016 by thehorleyviews.